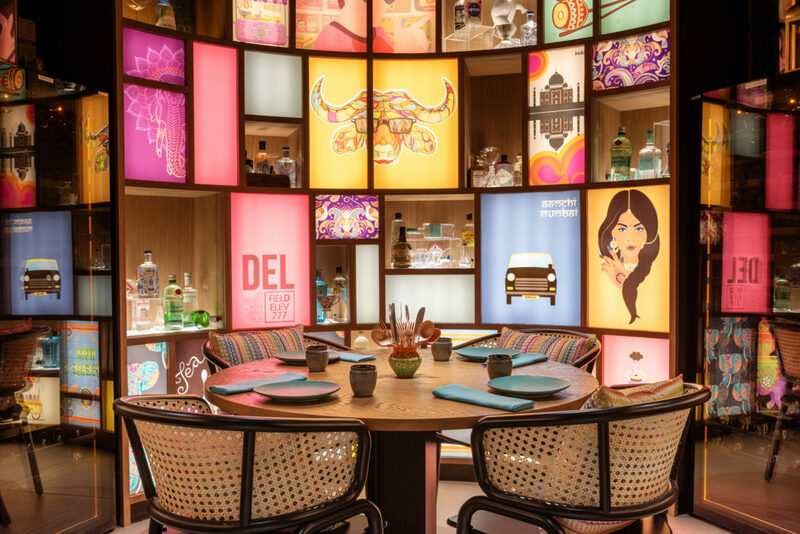 Indya by Vineet located at Le Royal Meridien Beach Resort & Spa, JBR is an ode to colours and true flavours of India with a twist. 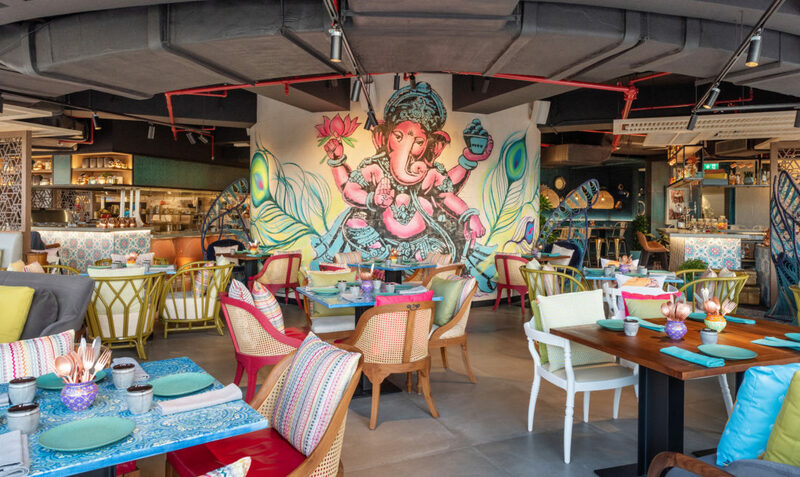 Be it the retro trunks, Ganesh graffiti, or the peacock chair, Indya by Vineet is a treat to eyes. 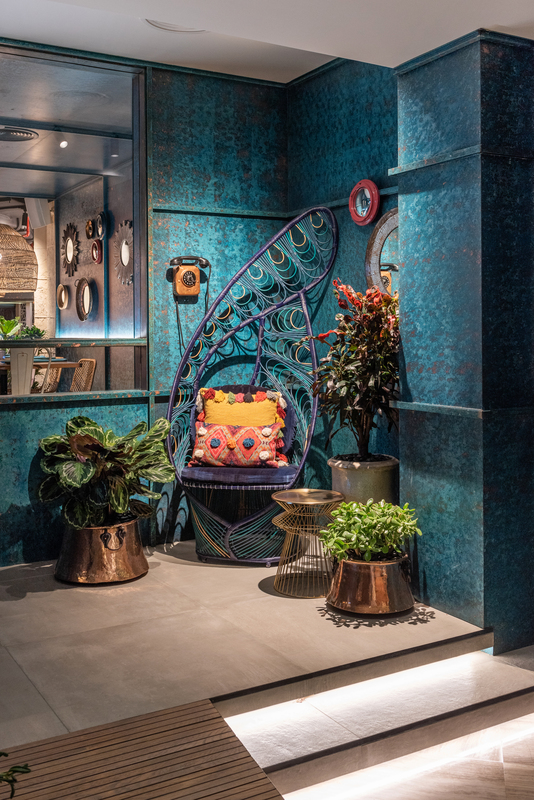 Pooja Shah Mulani, lead senior designer at LW and Jenni Wellings, interior designer, LW worked her magic on Indya project for Michelin-starred chef Vineet. What draw towards this restaurant is its dynamic circular shape and an impressive floorto- ceiling Ganesh graffiti. 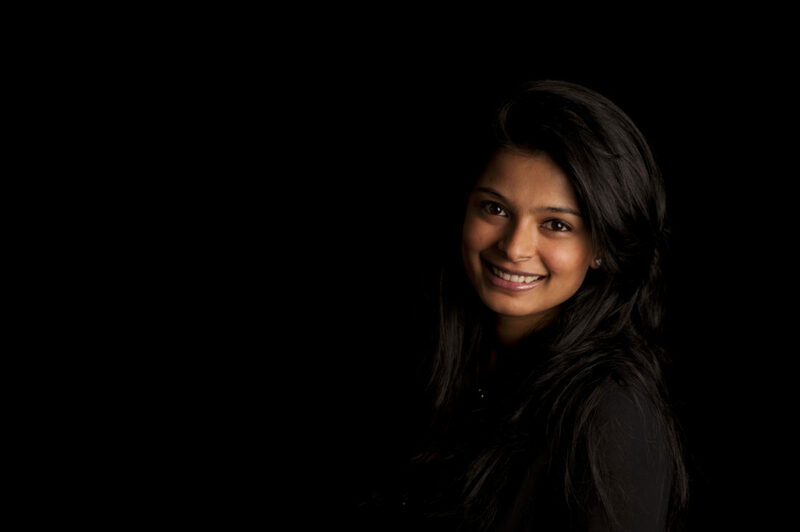 Mulani further shares some of the key design elements of Indya. She adds: “The peacock chairs by Kenneth Cobonpue add a fun talking point. 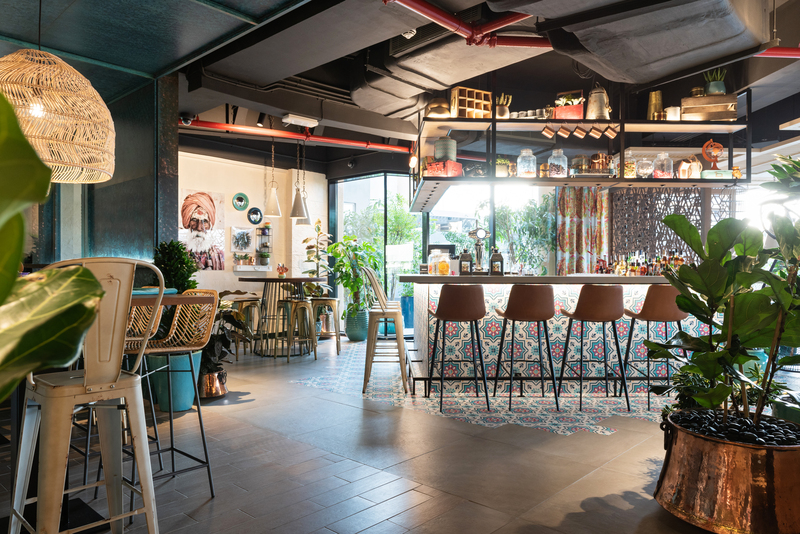 The patterned tiles at the bar and kitchen add a modern twist on Indian pattern and the oversized Gary Yong’s Ganesh artwork has been a really popular piece.” Attention is drawn to the kitchen through the open concept with large functioning tandoors on display at the counter. Bifold doors around the full perimeter of the space allow for the restaurant to be fully opened, giving a different, al fresco dining experience to be enjoyed in the cooler months.